It's a famous temple at the bank of the Yamona river in Agra. This more than 350 years old building is one of the seven wonders of the world. 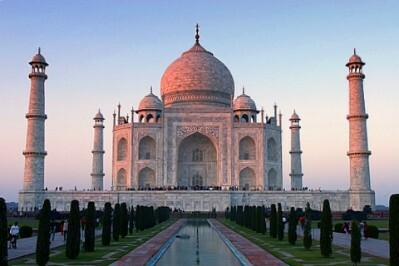 It is named the "epitome of love and romance" and is an enthralling sight.